Sometimes the best snacks are simple. They don’t have to be anything complicated to be delicious. 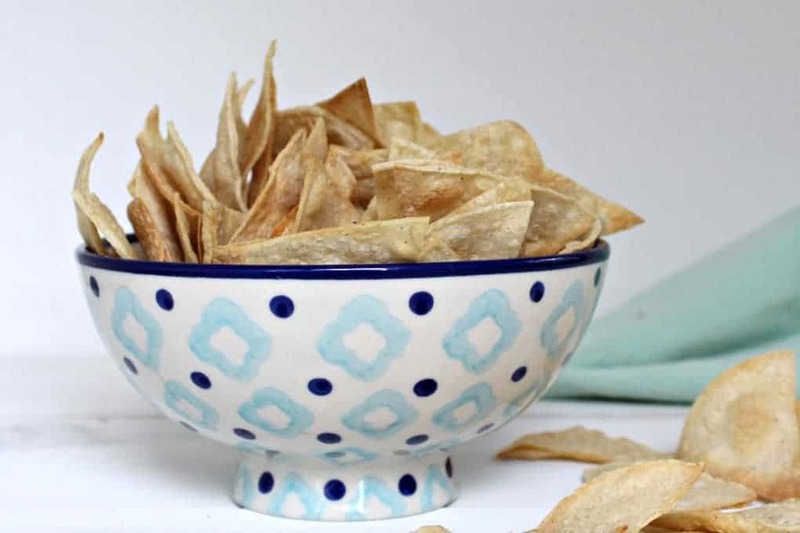 These baked corn tortilla chips are super easy, simple and delicious. 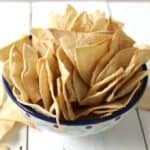 These chips use corn tortillas cut into wedges. They are sprayed lightly with a non-stick spray and then baked until crisp. That’s really all there is….well, I do like a sprinkling of salt, but really…that is it! This recipe is super easily adaptable to make as many chips as you might need or as many as you want to eat. You are limited to oven space and the amount of time you have. When making these you want to be careful you don’t over crowd your pans or the chips will stick together. A big sticky blob isn’t what you are striving for…. trust me on this! These chips are best eaten the same day. If you need to make them ahead of time, cool chips completely. Store in a plastic bag or a sealed container. If chips have lost their crispness, reheat in a 400 degree oven for 5 minutes before serving. 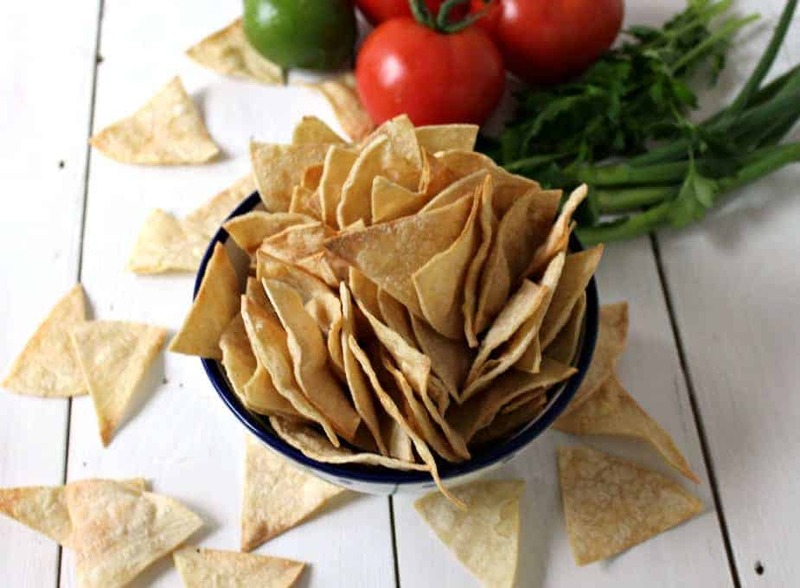 Homemade baked corn tortilla chips. 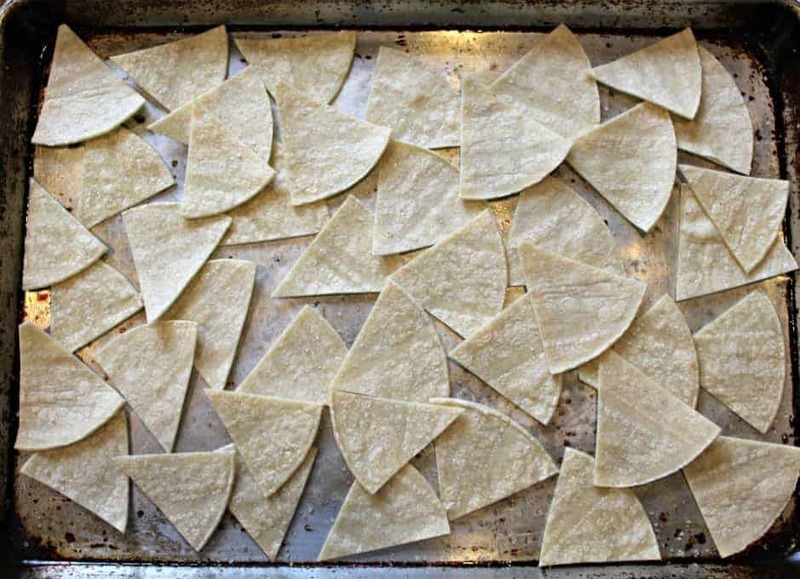 cut corn tortillas into sixths. Stir tortillas on tray so they are flipped over. Bake for another 5 minutes. Flipping as needed. Continue baking until lightly golden and crisp. Watch carefully. They go from done to burnt quickly. Remove from oven when toasted. Chips without deep frying, great idea. I love simple snacks too Kathy! Especially how these are baked. My husband took me to Chillis the other day (fancy people that we are, ha!!) and the chips were drenched in oil, overly deep fried. I couldn’t even eat them thinking about how clogged my arteries would be getting. My husband on the other hand…….eh. Anyhow, I’d love these for taco night! 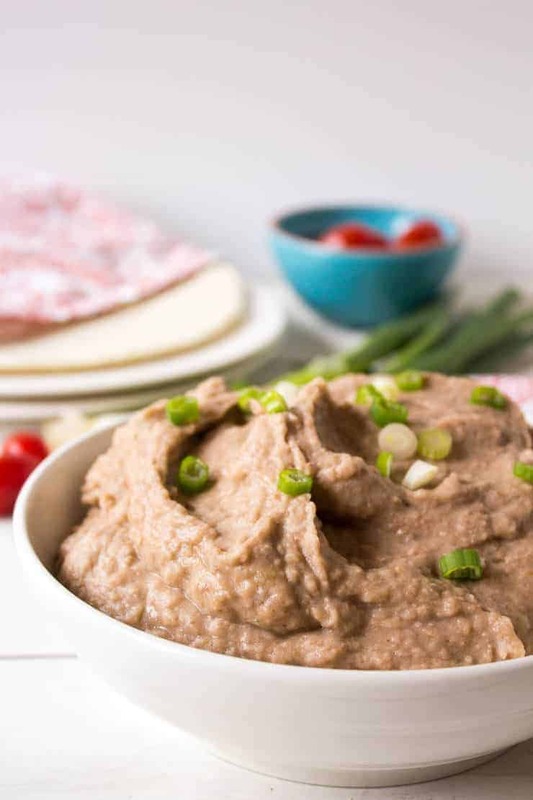 I love how simple, healthy and delicious these are, Kathy! Yum! Homemade chips is a great idea! And because they are baked and healthy that means I can have more guacamole! homemade chips are the best! these look great Kathy! I love fresh baked tortilla chips! nothing beats them dunked in some homemade salsa. Great idea! Freshly baked chips are always so much better that store-bought. We made some with cumin and lemon zest one time, but it’s hard to beat just plain salted chips! 😉 Thanks for sharing! So many combinations! I need to try everyone’s suggestions!!! I will have to try the lime juice! Do you squeeze it on before or after baking? 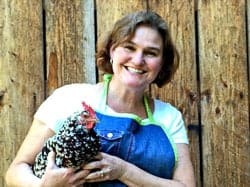 I LOVE homemade tortilla chips Kathy! I like them with coarse salt and with cinnamon sugar too! So irresistible! Thanks for sharing! Have a great weekend! One step closer to homemade! 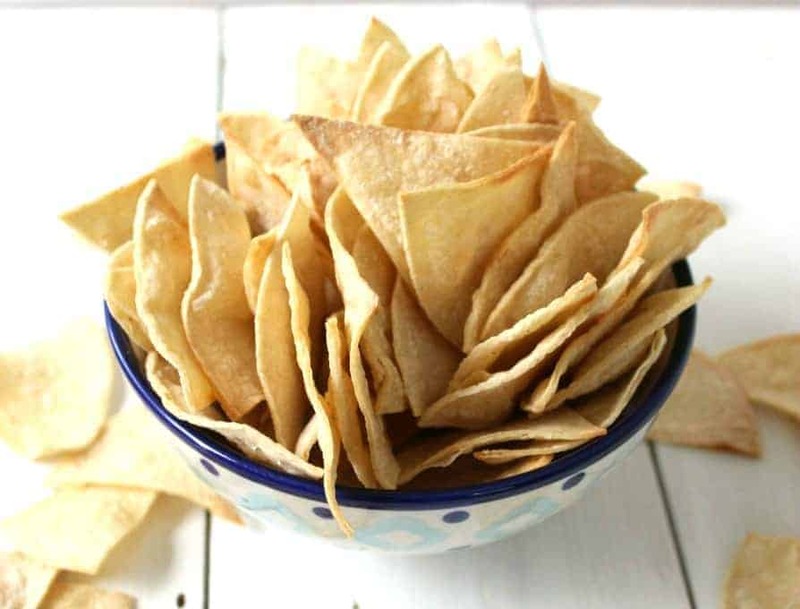 I’ve made pita chips before but never thought of trying corn tortillas – great idea, Kathy! A good way to use up any extra corn tortillas – I hate to let them go to waste :(. I always have a few corn tortillas left over too. This is a perfect way to use them up. The cooking spray also helps the salt adhere to the chips. They don’t need much salt, just a touch. Amazing! I always thought that tortilla chips were deep fried. If I make them myself, I would do them in small batches, otherwise I would gulp down huge amounts! You are right…these are usually deep fried. 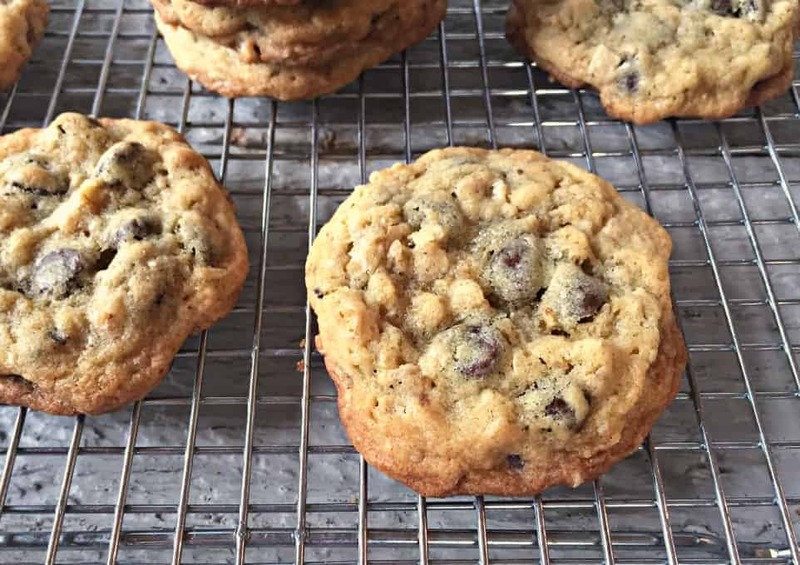 Baking just keeps them on the healthier side.